This is oiur new to us Rhino. 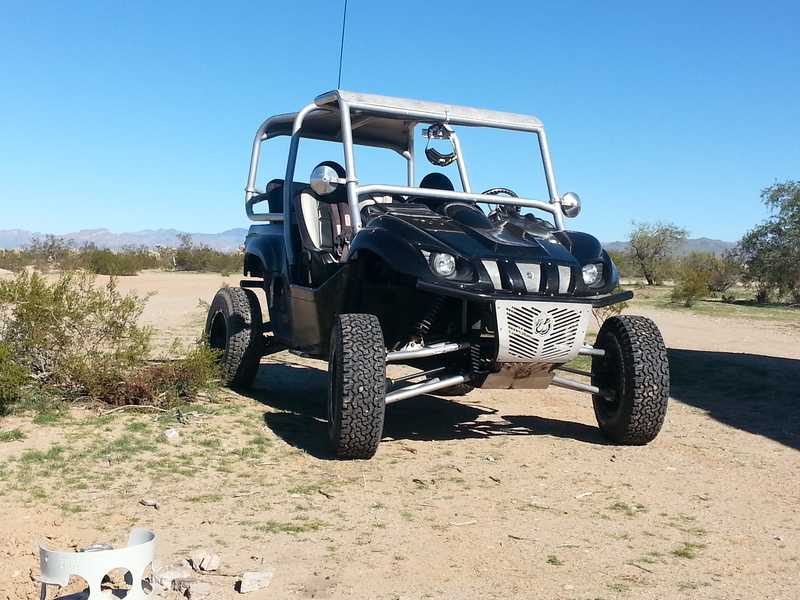 We are in Az and looking for ride groups or couples that want to take day trips and weekend camping trips. Nice looking rig! You should enjoy it! I'm on the hunt for one. Must be 8" or larger to attend! very nice. We are on the complete opposite side of the valley but will travel wherever to ride. There are a few of us on here in AZ that have been talking about rides so we will include you when the weather is cooler. By lunch. Us AZ guys should all get together! Last edited by Chalkminer; 09-20-2015 at 01:23 PM. count me in for local rides too. Those are good desert tires, last a long time. I almost purchased those at2 grabbers, but decided on bighorn truck tires instead.